Last August we introduced you to the new bluegrass group called Nefesh Mountain. Founded by husband and wife team Eric Lindberg and Doni Zasloff, Nefesh Mountain is pioneering this blend of Jewish Americana throughout the country, bringing their unique knowledge and passion for both Jewish and Bluegrass traditions to the fore, singing English and Hebrew songs alike. Here's the official music video of Esa Einai from Nefesh Mountain's new album releasing May 20, 2016. Doni and Eric are accompanied here by special guests and bluegrass greats Sam Bush, Mark Schatz, Rob Ickes, and Gary Oleyar. Also joining them on their record is banjo extraordinaire Scott Vestal. 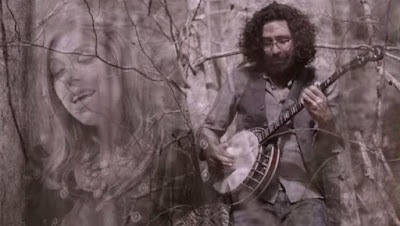 The video was shot by Jeff Carpenter of Readylight Media at the Sound Emporium in Nashville, Tennessee and in the beautiful hills of Asheville, North Carolina.